Home » Historical » 20th Century » If Fur is Murder What About Astrakhan? Did you know that the beautiful Astrakhan fleece of vintage coats, collars and accessories is skinned from unborn lambs? Specifically, the pelts come from Karakul sheep that are either fetal or killed and skinned before they reach three days old when their pelt remains tightly coiled and luxuriously soft. Unlike fur the garments made from this material are still produced and widely available with many people unaware of its grim origin that resembles a nightmarish adaption of 101 Dalmations. It could quite easily be argued that, with even vintage fur condemned as promoting new illegal fur production, Astrakhan has become a safe haven for consumers desiring a luxurious finnish without the moral implications of fur. The issue is a complicated one. Lambs are by no means endangered in the same way as beavers, minks and more whose ancestors were slaughtered en masse with some garments requiring hundreds of pelts. Nor will they be. Meanwhile the vast majority of us happily eat lambs slaughtered as young as six weeks. Ironically Karakuls were introduced to the US from 1908 to 1929 for pelt production and through a desperation to produce a large quantity of pelts more breeds were crossbred with them. This produced pelts of inferior quality which crippled production. Ebay holds a wealth of vintage Astrakhan products at low cost. Nevertheless because we are de-sensitised to the use of sheep having seen them as livestock for millennia there have been cases of horrendous treatment of karakuls for Astrakhan production. In March 2000, The Humane Society of the United States documented the brutal treatment of pregnant ewes and newborn lambs at a farm in Uzbekistan, where the production practise began . “Graphic footage shows a pregnant ewe held down, her throat slit open and stomach slashed wide to remove the developing fetus: the “raw material” for broadtail [or fetal-lambs’ fur] fashions. Also caught on tape are heart wrenching images of frightened newborn lambs being displayed as “samples” for various pelt colors. Barely able to stand, these fragile animals nonetheless show fear and stress as they are roughly handled by slaughterhouse workers. Further footage shows the limp and bloody bodies of lambs slaughtered earlier that day,” said the HSUS. While every industry provides countless examples of abuse without necessarily reflecting an industry-wide trend, sources for this report said that Astrakan fur is not a by-product of meat production and the animals are raised purely for their pelts. With much of the production led by developing countries in Central Asia, Africa and parts of South America it seems unlikely that the tight regulations of animal welfare upheld in other countries are maintained. 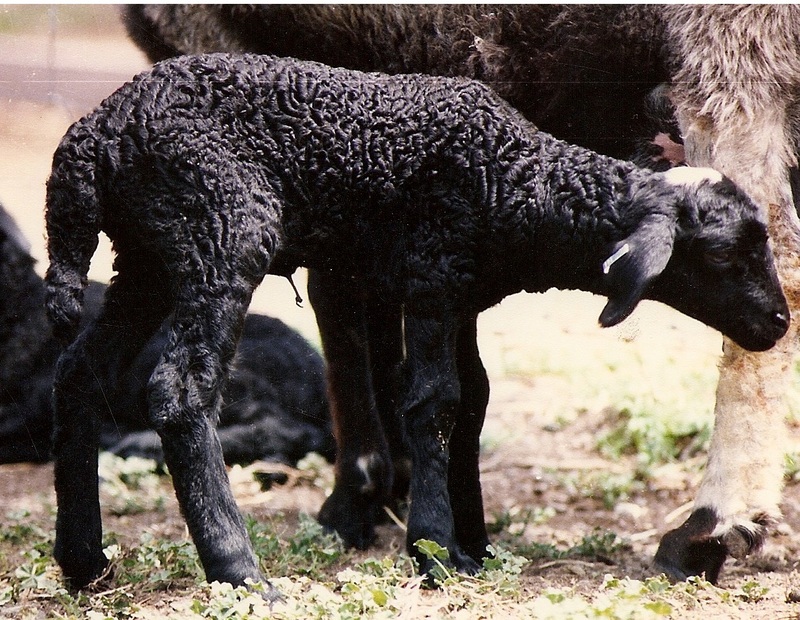 Astrakhan also rarely distinguishes between ‘broadtail’ pelts of fetal lambs – which therefore harm the mother ewe – and naturally-born lambs. In writing this article the lack of specific information regarding this industry is surely indicative of the lack of regulation and oversight placed upon it. Sadly in a world of intense farming for a multitude of reasons and the indirect harm to animals of the human population, even the growing pressure of animal ethics cannot stretch to everywhere it perhaps ought to. But for all of us a greater awareness of what we wear – whether from a high end designer or a vintage shop – remains an important step in how we see ourselves and our world.